Twitter is being tested in Florida a mobile app called Twitter Nearby that allows you to locate on a map the messages nearby. A function that already exists on various Twitter clients. 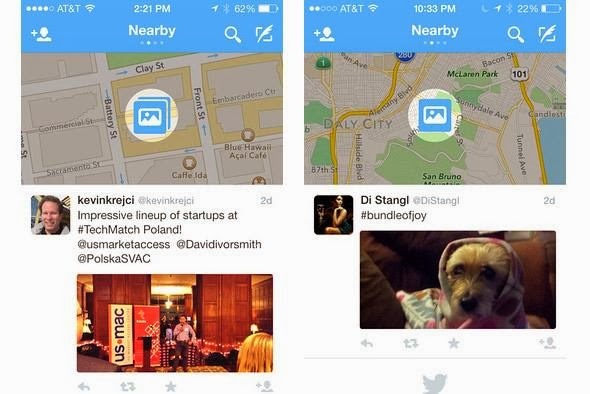 Twitter users would test with some functionality of location-based mapping messages. This function named Twitter Nearby is available on the mobile application of social media. As the subscriber moves, he can view the list of tweets that are nearby. Other Twitter clients already offer this type of location service messages. is to answer a laudable requirement to bring people or inform about events happening nearby, the other aspect is clearly improved ad targeting taking into account the location data. As more and more mobile apps, the user must confirm before enabling location service in iOS 7 while Android service should be enabled by default.